After a few tumultuous years, Gwen Stefani is back with her first solo album in a decade, This Is What The Truth Feels Like. It follows her hugely successful 2004 debut, Love. Angel. Music. Baby., and its 2006 followup, The Sweet Escape. Those two dance-pop records were a big change for the No Doubt frontwoman, and after they were over, she vowed to never release another solo record. That is, until 2014. Gwen had just given birth to her third son with husband Gavin Rossdale, and suddenly found herself coaching on the hit TV show, The Voice, alongside frequent collaborator Pharrell. This sparked the idea of finally doing a third solo album; the only problem was that Gwen wasn’t especially inspired. She ended up doing something she’d never done: She mainly recorded songs that other writers penned instead of songs she helped write. We got two singles – “Baby Don’t Lie” and “Spark The Fire” – as well as the unreleased ballad “Start A War.” But for Gwen it didn’t feel right – she felt like she was faking it, and put the album on hold. Early in 2015 her personal life blew up in her face. Gwen’s husband of 13 years allegedly had an affair, and the couple split. It wasn’t until the summer that word got out that they were divorcing. But from the tragedy came great inspiration: Gwen was back in the studio writing like she’d never written. Her new songs ranged from really sad to sarcastic and angry, and her lead single, “Used To Love You,” was a perfect, tragic snapshot of what she was going through. By the end of the year, Gwen changed her tunes when she found new love with The Voice country star Blake Shelton. And now here we are, looking at the results Gwen’s roller coaster life have had on her most personal album yet. This Is What The Truth Feels Like is surprisingly cheery: Those of us who expected a depressing breakup album may be shocked that the bulk of the album actually focuses on Gwen’s new relationship instead. The first half of the album finds Gwen confessing tentative crushes and feelings of innocent love. Its the kind of love, as she says in “Rare,” that she never would have expected find after so much heartache. In “Make Me Like You,” Gwen laments that she’s “so scared” to be in a new relationship already. But in spite of her doubts, Gwen’s joyous feelings of love dominate This Is What The Truth Feels Like. It’s not all rainbows and butterflies, though. The trauma of Gwen’s failed marriage is still a vital influence on the album, and takes center stage in tracks like “Used To Love You,” “Red Flag,” and “Naughty.” The latter two in particular are aggressively angry and sarcastic, the kind of Gwen we rarely hear. They’re punchy and intimidating highlights of perhaps her lowest stage of life. Confessional songs like “Me Without You” and “Truth” shine on an album that sometimes feels overproduced. While happy Gwen is a true treat – especially on “Where Would I Be?” and “Make Me Like You” – her darker tracks hold something special and captivating. All in all, This Is What The Truth Feels Like offers a great balance of love and loss, of tragedy and pain followed by the rainbow that comes after a storm. It may be hard to beat a masterpiece like L.A.M.B., but This Is What The Truth Feels Like comes awfully close, winning for her most personal solo album yet. “Misery” – This Is What The Truth Feels Like starts with a minimalistic midtempo ’80s bassline with handclaps. Gwen comes in softly, building up in her melodic “you’re like drugs to me” refrain. The chorus grows stronger, gaining extra percussion during the second verse. “Misery” is a slow-building, simple song that endears you to the feelings of “trying to be sensible” despite young love. “You’re My Favorite” – The second track begins with spacey blips and snaps. Like “Misery,” “You’re My Favorite” is fairly simple musically with a heavy trap beat, putting the focus on the lyrics Gwen sings. As a divorced mother of three, Gwen admits that she’s “been there, done that,” but out of all the things she’s tried and explored, nothing compares to him. “Where Would I Be?” – The album starts to pick up with newfound-love island bop, “Where Would I Be?” The chorus starts the song, instantly transporting the listener back in time. The track has a kind of a reggae sound, bouncing and almost syncopated; the sound is reminiscent of Lily Allen’s 2006 hit, “Smile.” “Where Would I Be?” has a fuller sound than the first two on the album, with a jolly mood and high vocals in the chorus. The bridge breaks it down into the hip-hop feel of Gwen’s early songs like “Hollaback Girl” and “Orange County Girl.” This is a clear highlight on the album. “Make Me Like You” – The most high-energy song so far is the second single, “Make Me Like You.” Gwen has admitted this is about her new boyfriend, Blake Shelton, whose name appears in neon lights in the music video. “Make Me Like You” is super happy and peppy, backed up by handclaps and synth swirls. It’s a feel-good track that anyone who’s just fallen in love can relate to – you’re scared to jump into a new relationship, and yet you’re so happy that you’ve found someone who makes your world so rosy. “Used To Love You” – The songs transition well, and we end up with the album’s first single. “Used To Love You” is the ultimate breakup song, tragic, raw, and honest. Gwen puts words to all the troubled emotions one goes through after a loved one cheats; she laments, “I thought you loved me the most,” and describes the scene of him moving out. It’s such a sad and heartbreaking song, but also an important one to put the whole album into perspective. “Used To Love You” remains a standout track. “Send Me A Picture” – The mood lightens noticeably on track seven. “Send Me A Picture” brings the focus back to new love and enduring long-distance constraints. Although they can’t physically be together, why not send a picture of yourself to your loved one? 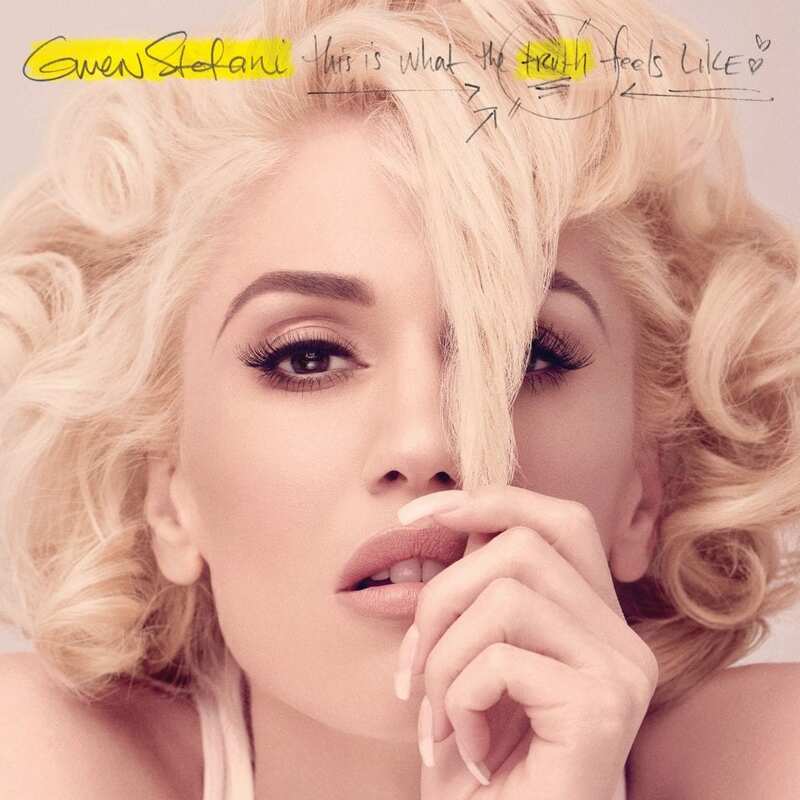 This song is firmly in the 21st century, as Gwen demands “no filter, take another snapshot in the mirror.” “Send Me A Picture” teeters between being almost awkward and yet rather catchy. “Red Flag” – The first song Gwen wrote for the album was “Red Flag,” and the mood shows. It starts with tragic strings before the record cuts and aggressive, trap-influenced Gwen is back! “Red Flag” is sarcastic, dark, and in your face, clearly an angry tirade against her ex. Gwen spits, “I’m not a rookie, I’m so used to getting played,” and “you know how to screw it up.” She later shouts, “this is your punishment!” Its unexpected sounds makes “Red Flag” a standout, the raging tough Gwen anthem we’ve been waiting to hear. “Asking For It” (feat. Fetty Wap) – In contrast, “Asking For It” was one of the last songs completed for the record. It starts with low pounding synthy strings and Gwen asking, “why would you want to be with someone like me?” With her “broken history,” Gwen can’t help but ask, “are you sure you want to love me?” It has the trap sound of the previous track, helped along by rapper Fetty Wap’s part. “Naughty” – Shrill piano opens the second track Gwen wrote, “Naughty.” In an interesting twist, it combines the old-school reggae sound of “Where Would I Be?” with the aggressive urban influence of “Red Flag.” Gwen sneers a sarcastic “helloooo” before directly accusing “you did it, you did it, and then you hid it, you hid it.” It’s another intense, assertive song that really captures the anger and pain of the breakup. The bridge is chilling, adding to the layers that make “Naughty” so dark and captivating. “Me Without You” – We get another sad ballad, this time driven by gentle keys and pulsing drumbeats. Gwen tells her ex, “you’ve done nothing I can’t repair” and “no, I don’t need you, not a little bit” over rolling drums. It’s a song that finds Gwen gaining strength after such a big loss, and she’s finally trying to feel optimistic: “I can love whoever I want, say whatever I want, do whatever I want” and “things are about to get real good.” How true that was. “Rare” – The standard edition of the album closes with “Rare,” led by soft guitar and dreamlike lyrics. Gwen tells her new love, “you’re a sapphire” and “you’re a sparkle in a deep black hole.” It’s amazing that Gwen found someone so precious after so much dishonestly and heartbreak. “Rare” is a magical, odd song – especially in the rolling chorus – but there’s something mesmerizing about it, too. Gwen admits that, “I am broken, I am insecure, complicated” and “I feel worthless, I’ve been hurt so bad,” but here is this rare jewel to help her get back on her feet again. You can buy This Is What The Truth Feels Like on iTunes now, or get the deluxe edition with four bonus tracks from Target.